Thinking of Starting a Business? Want to Work From Home? Thinking of Joining a Direct Selling / Party Plan Company? To say that 2013 has already been an adventure in the Joyce household really would be an understatement! We moved into our house a year and a half ago. Our previous house had been a renovation project and my husband has become a bit of a DIY expert. 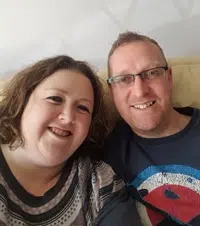 Now I was quite happy to move into a house that was already “finished” but just needed redecorating, I wasn’t too keen on the idea of having to put in a new kitchen, bathroom etc etc, especially as at the time our daughter was only 2 years old. Well my husband didn’t feel the same and I ultimately had to give in to the fact that within a year he would be bored and craving that enormous DIY project. Well, in the end we found our “would be dream home after a LOT of TLC” and moved in. Fast forward one and a half years and our kitchen, dining room, living room, daughter’s bedroom and spare room are all decorated. Our bedroom is still a disaster with a hole in the ceiling where the previous owner had fallen through the loft and also an interesting bedroom floor where they decided to paint the floorboards around the bed! Our flat roof has never been replaced since the house was built in the 1970s and we knew it was a ticking time-bomb and over Christmas the first few drops of water started to come through. We had to give in to the idea that we would have to get it done. It makes me cry at the thought of spending money on this when there isn’t anything pretty to show for our money after it is done! Anyway, a couple of quotes later and we agree on the company to do the work. He asked to just come over again to check something over before he started work on Monday. So, he came over yesterday morning and I left him to it whilst I started to wrap up some of my Scentsy orders in the living room. All of a sudden I found myself looking up to see a ladder and the man flying past my kitchen window. After about half a second of sheer panic I ran around to find him climbing to his feet after falling 8ft from the roof. I could see instantly that he had dislocated his shoulder 🙁 999 were called and he was taken to hospital. He is absolutely fine thank goodness and was discharged a few hours later after they put it back into place. My husband is convinced that roof is jinxed! A couple of days ago in our spare downstairs room, my husband noticed the carpet was wet and then when he looked up he noticed the ceiling was bulging, a long story shortened it turns out that our bathroom basin tap had been leaking for a long time. My husband fixed the tap and then had to drill a hole in the ceiling to drain the large collection of water that had been gathering! Luckily that room isn’t one that has been decorated yet! Our laptop has also packed up (which is not great news when you work from home with an online business) and our little girl is very poorly and we are pretty certain chicken “pops”, as she calls it, is on its way. There are now 852 Independent Scentsy Consultants in the UK and 235 in Ireland. It is so exciting to see Scentsy UK growing, I was around the 350th to join back in October 2011. Scentsy is by no means a “get rich quick scheme”. By becoming an Independent Scentsy Consultant, you are creating your own business and as with any business, you need to work at it. I love being a Scentsy Consultant as it allows me to work from home and be here for my daughter. For me, being able to take her to school and being there at 3.10pm every day to collect her, makes it the most perfect job I could ever wish for. I do of course love the products which I think is vital when starting your own business. If customers can see your passion for the products, not only does it give them confidence in the product, but also you as a consultant. Building customer relations is vital in the continued growth and success of your business. 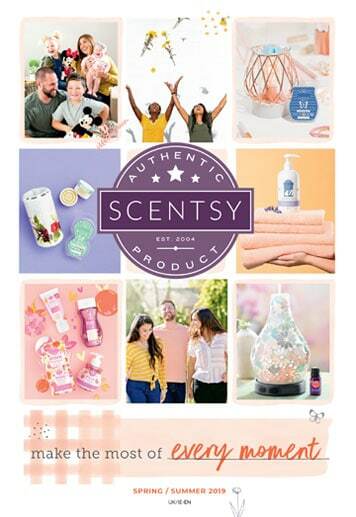 As with any business, there is a start-up cost when joining Scentsy. I have read many reports on the internet where people say to avoid anything involving a start-up fee which I never understand as it is reported that the average business costs £3,000 to start. 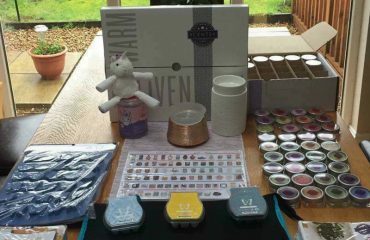 Scentsy’s starter kit is £94 (this is a one off fee) and for that you receive a full starter kit, everything you need to get started. There are of course other direct selling companies which offer a free starter kit, or no joining fees, but please please read the small print….. When considering starting a new business, you will need to think of an idea, research your market, find reliable suppliers and source funding. By joining a direct selling company, a lot of this hard work has been done for you. 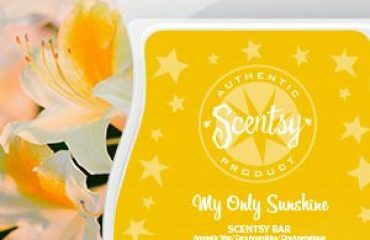 When I first discovered Scentsy, I spent a lot of time researching Scentsy on the internet and I learned just how popular Scentsy was in the US and Canada. Everyone loves scented candles, we used to burn a lot of candles until we had our daughter but then we had to stop using them as it was just too dangerous to have a flame around a young child. I could therefore see how there was the market for the electric wax warmers, especially with young families and the elderly. I knew I would love the electric wax warmers as a customer of Scentsy, so decided that becoming an Independent Scentsy Consultant was something I could do!